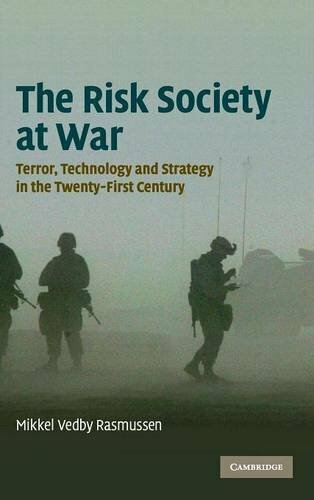 [PDF] The Risk Society at War: Terror, Technology and Strategy in the Twenty-First Century | Free eBooks Download - EBOOKEE! Description: Product Description: In the globalised world of the twenty-first century, security policy in Western societies is driven by a wish to prevent future threats from becoming reality. Applying theories of 'risk society' to the study of strategy, this book analyses the creation of a new approach to strategy. The author demonstrates that this approach creates new choices for policy-makers and challenges well-established truths within the study of security and strategy. He argues that since the seventeenth century the concept of strategy has served to rationalise new technologies, doctrines and agents. By outlining the history of the concept of strategy in terms of rationality, Rasmussen presents a framework for studying strategy in a time of risk and uses this framework to analyse how new technologies of war, pre-emptive doctrines, globalisation and the rise of the 'terrorist approach to warfare' can formulate a new theory of strategy. No comments for "[PDF] The Risk Society at War: Terror, Technology and Strategy in the Twenty-First Century".